NADD, through its large network of resources, can provide expert consultation on any of the issues mentioned above. Well known authorities in the field will meet with representatives from your organization to help with the analysis and solutions to your problems. The field of dual diagnosis is not static and new knowledge is shaping the configuration of appropriate services and supports. It would be wise to learn from authorities who have already addressed the issues and problems you may be encountering. Experience and a proven track record can provide you with the results you want. A knowledgeable staff, at all levels, is essential to providing quality services. 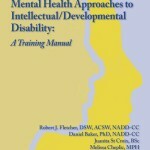 Professional staff such as nurses, physicians, psychiatrists, psychologists and social workers need to be armed with a wealth of knowledge concerning various aspects of mental health issues in persons who have developmental disabilities. This is also true for direct care staff as well as families. NADD can provide training to meet the needs of your staff. NADD has 28 years of experience in providing training. We can assist in your consultation and/or training needs. NADD has access to experts from around the world to address any of the above listed areas. For more information contact NADD CEO, Jeanne Farr. How to effectively use an interdisciplinary team and a psychiatric consult. 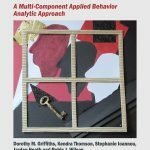 What are the distinctions or similarities between a behavioral problem and a psychiatric disorder. How to conduct a bio-psycho-social mental health assessment diagnosis. What are appropriate medication treatments for specific psychiatric disorders. How to effectively integrate mental health treatment with behavioral approaches. What are the essential elements in the assessment and treatment of sexually inappropriate behaviors. How to provide individual and group therapy that works. 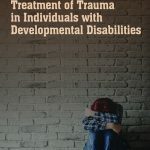 What are the approaches toward the development of collaboration between the mental health and developmental disability systems. How to design and develop accessible, appropriate and affordable housing options. What is needed to develop partnerships between family and service providers. How can a person make a successful transition from the school environment to world of work. How to transition from an institutional setting to community-based services.